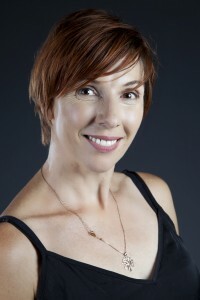 JULIE SHARPE has been entertaining crowds around Australia for over 25 years. With a razor sharp wit and lightning fast tongue, she is well known for keeping crowds entertained with her improvised comedy routines. A young girl from country NSW, Julie studied Theatre Performance at Wagga Wagga Charles Sturt University. Upon receiving her Associate diploma she had a dream, a dream of being a part of her very own Muppet Show. She found that dream within the walls of Dracula’s Comedy Cabaret where she embarked on a 20 year career as lead comedienne Sara Pax, the beloved ‘drug sponge’. Who in her time played to over 1 million audience members. Julie served as artistic director at Dracula’s for over 10yrs and helped set up and establish “Drax 4 Kids”. Melbourne. Julie also travelled internationally to set up a franchise of Dracula’s in South East Asia. The past 5 years has seen Julie performing as the comedic MC, Miss Juliette, for the popular Male Burlesque show Princes Of The Night at Crown Casino. Not afraid of a man in a frock and eyelashes, Julie has travelled the country in the Australian tour of Queens of the Outback and Queens of the City’with Simonsez Entertainments, playing a host of characters ranging from Shazza, the big breasted, ocker publican, to Amy Winehouse, & an eccentric TV Host, Carmel Toe. ‘Queens of the City’ had the pleasure of being performed at the Alex Theatre for the Melbourne Cabaret Festival. Julie also actively produces & directs some of her own Cabaret/ Burlesque shows in and around Melbourne. Copyright held by Song Contest International Trust. All rights reserved.Please Note: Images on this site are used for illustrative purposes only.